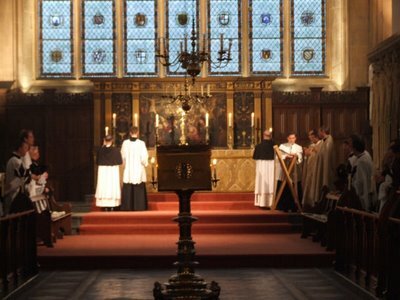 Merton Chapel is one of the three most ancient Colleges at Oxford. Founded in 1264, it reeks of the medieval schools. 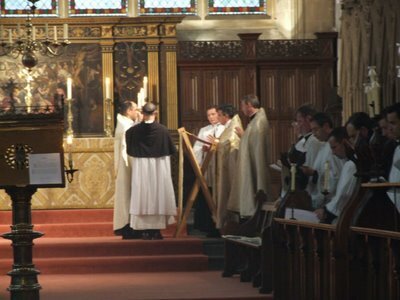 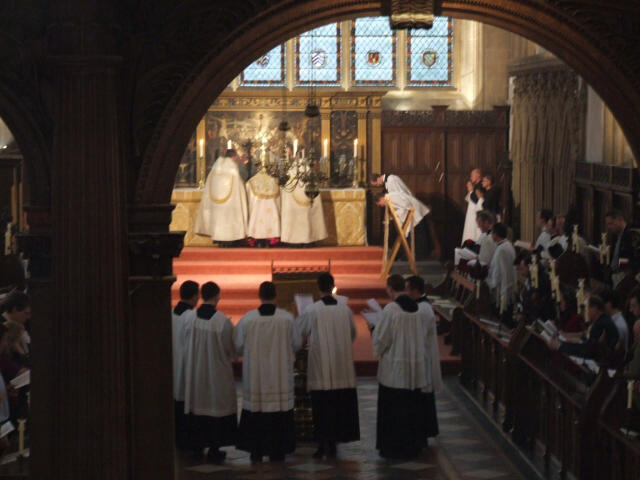 The solemn singing of Vespers took one back through the centuries in the knowledge that the chapel resounded with similar chants all those years ago. These pictures are of Solemn Vespers for the feast of Our Lady of Sorrows during the CIEL Conference 2006. 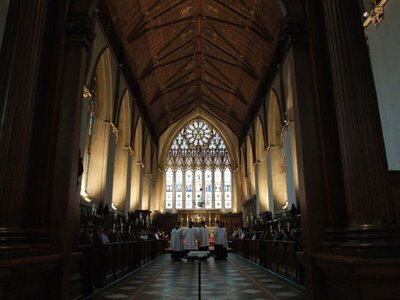 This view through the screen shows the incensing of the altar at the Magnificat. At the end of Vespers, the procession prepares to leave the Chapel.